As the tenth anniversary of the fall of Lehman Brothers approaches, politicians can finally sigh with relief – Europe is out of the woods. For the first time in more than a decade, a majority of Europeans have a positive opinion on the situation of their national economy (49% versus 47%), according to a Eurobarometer published on Thursday (14 June). We knew the economy was growing, people found their way back to the labour market and companies were investing again. But perception matters as much as reality, if not more, especially when it comes to the economy. As we feel that our wallet is thicker, support for the euro also improves. Almost three-quarters of citizens in euro area countries support the single currency, keeping a record level since 2004. The latest Eurobarometer brought good news just when the bloc was threatened by the arrival of a populist government in Italy, and the secret plan of some of its members to exit the euro. But the real issue that the governing coalition in Rome has put on top of the agenda is migration. 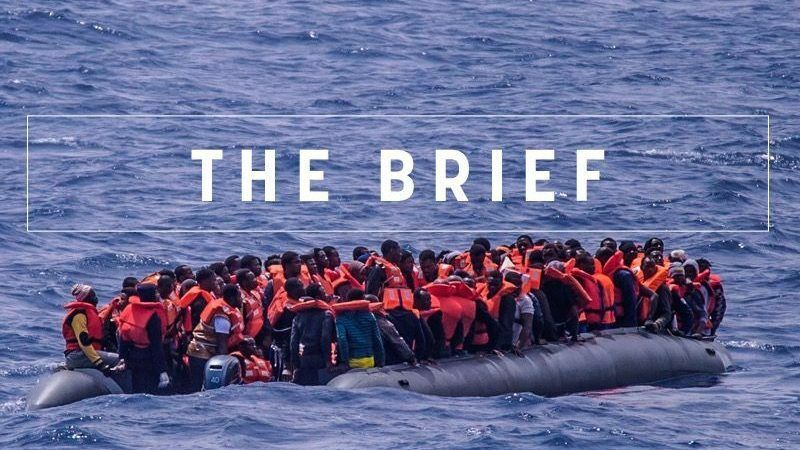 Three years since more than two million migrants arrived in the Union, the lack of a comprehensive European response to address this issue propelled political parties against offering a helping hand. The Commission became the preferred scapegoat, as any of its proposal to show more solidarity with the newcomers and between the member states was seen as an outrageous attack on national sovereignty. As it happened during the eurozone crisis, member states’ poor response fuelled eurosceptic parties, making the management of the crisis even more difficult. This magma of anti-immigration and eurosceptic groups has already secured an important victory ahead of the European elections in May 2019. Migration will be the number one issue in the run-up to the elections, mainstream parties including the EPP and senior EU officials, such as Frans Timmermans, agreed. But these parties have not only set the issue but also controlled the debate, which remains heavily influenced by their preference for turning Europe into a fortress. The forging of a new axis of like-minded governments, whose ministers flirt with this approach [including Austrian Prime Minister Sebastian Kurz, who will chair the EU’s rotating presidency from July], is a sign that a lot of airtime and speeches will be given to migration. The dispute around Aquarius, a ship carrying 629 migrants rejected by Italy and Malta, confirms that less attention will be given to discussing how to address the growing inequalities within our bloc, or how to turn Europe into a tech superpower. True, the rise of these parties across Europe reflects that their issues and solutions matter to voters. Accordingly, immigration tops the list of challenges the Union is currently facing (38%), according to the Eurobarometer released on Thursday. But when asked about their main concerns at the national level, the respondents point at unemployment, followed by social security and migration. Mistakes made in managing the economic crisis and the massive job losses that followed, including a self-inflicted second recession in 2011-2012, influenced the results of the 2014 European elections. A quick reminder: Marine Le Pen came first in France back then, Nigel Farage won in the UK and Podemos broke into the Spanish system with its anti-austerity discourse. Europe’s failure to address the 2015 refugee crisis and manage the arrival of newcomers may bring greater surprises next May. Take counter-measures when the US crosses “red lines”, respond to Russian threats and Chinese growth, urged Germany’s foreign minister, as he called upon the EU to become a more self-confident global actor. The never-ending story continues: Commission vice-chief Frans Timmermans again debunked the amendments to the Polish judiciary reform as ‘not sufficient.’ Open letters to Commission called for action. European defence integration moves forward, but critics cry foul: While the military industry fund runs the risk to encourage export and development of controversial weaponry, the new EU ‘Peace fund’ paying for arms is another sensitive topic. Almost two decades after the NATO bombing of Serbia, local authorities are on a quest to determine whether depleted uranium bombs were used that could pose a health hazard. It is a rather bizarre scenery: busloads of Turkish nationals of Bulgarian origin coming to their country of birth to vote as Turkish President Erdoğan prepares for the next power grab. Truck drivers could pay the price for EU compromise on posted workers – a potential setback coming from the directive negotiated in a tense context last year. The Commission, in the best tradition of having public humiliation as the most effective measure, urges member states to publicly name and shame the baddie states behind cyber-attacks. After eight years of strict and painful austerity, Greece and its creditors are getting closer to a deal on a debt relief package to be sealed. It’s over (for now)! The unexpected breakthrough came in the early morning hours and brought a deal on a 32% renewable energy target and palm oil ban. Nigel Farage seems to suffer from one of his rare attacks of amnesia. To be fair, sometimes it is difficult to keep track of whom you had ‘unpolitical’ talks with. Who wins the opener? The cat could be out of the bag. Meanwhile, the Dutch had a rather original idea for a stamp that brings money… and a legal complaint from the FIFA. Also, football pain is real for those travelling with the Brussels metro the next weeks.